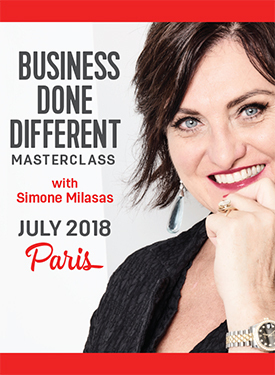 Welcome to Business Done Different Masterclass! This class will give you dynamic Access Consciousness tools to use in business and living that empower you to keep creating, to keep asking for the possibilities to show up that you have not yet asked for. Note: This class with SImone Milasas is a qualifying Bars Facilitator renewal class! Be sure to log in to your account before purchasing this product. What is Business Done Different Masterclass? Albert Einstein said: "Doing the same thing and expecting a different result is the definition of insanity." You have an unlimited (and mostly un-accessed) capacity to create a financial reality that would work for you. For questions about this product, please contact the Joy of Business team.